MySQL is the second world’s most popular open source database providing a relational database management system used in web applications. Wordpress, Drupal, MODx, Joomla, phpBB, etc, all use a MySQL backend. It is also used in high-scale websites like Google, Twitter,YouTube, Flicker, etc., because of its cost-effective delivery of high performance and reliable database applications. MySQL administrators require efficient tools with Graphical User Interface for easy and optimized handling of the MySQL operations over the database. There are various tools available, ranging from open source tools to proprietory products that provide high-end GUI interfaces for users to perform their database management. The following are few popular tools used by database administrators. MySQL Workbench is a desktop-based management tool that provides end-to-end functionality of database operations. It simplifies the design maintainance of the database and helps the administrator to have an easy view of the database relationships, It provides a model-driven database designing option and provides flexibility based on changing business requirements. License: Commercial and Non-commercial licenses are available. Navicat is owned by PremiumSoft CyberTech Ltd., and it provides graphical database management for Mysql, PostgreSQL, Oracle, etc.It features a graphical user interface showing both local and remote databases. It is one of the best easy tools for newbies who are learning MySQL. This is a free, web-based MySQL GUI tool for administration of MySQL over the Internet. It offers a wide range of SQL operations, providing simplified search operations and easy functions. It also provides easy export and import operations on the SQL files and also the maintenance of user privileges over the database. 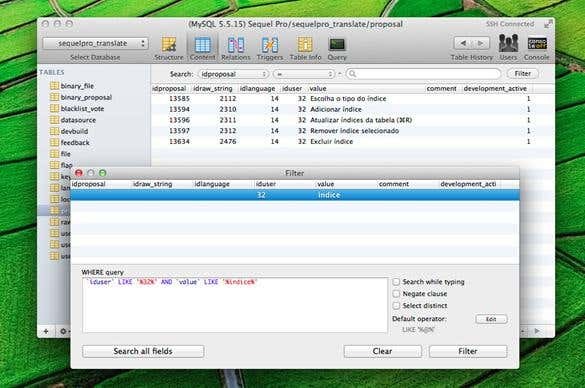 Sequel Pro is an opensource tool that is basically a successor of CocoaMySQL. It helps to manage the database either locally or over Internet. 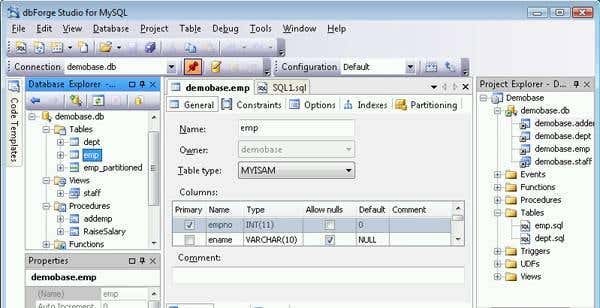 It provides an easy GUI interface for performing add /remove database operations, changing indexes and filters, and performing queries over the databse. This is a reliable tool for managing the MySQL server, PostgreSQL, Microsoft SQLdatabase, etc. It can export and import the sql files and provides easy archiving of the database. 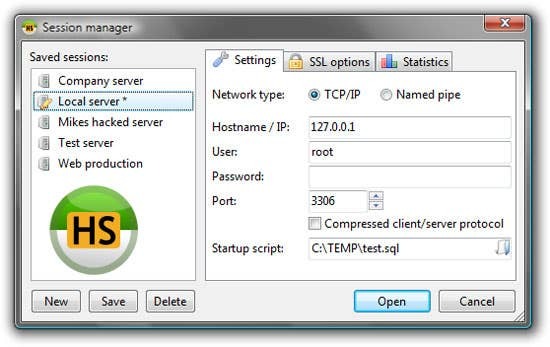 To manage the database, the user must log in to a local or remote server with proper credentials. It offers all the basic and advanced operations over the logged in database. 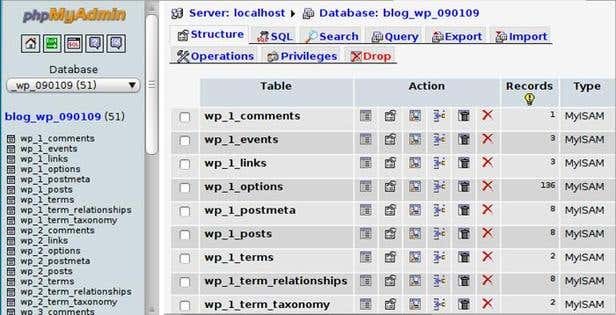 SQLWave is a simplified GUI tool for exploring and maintaining the existing database, designing complex query operations over the database, and performing different SQL operations. 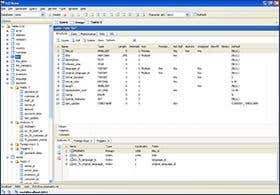 DbForge Studio provides a graphical interface for MySQL development and administration over the database.Three different editions of the software is available for developers. Express, Standard, and Professional editions of the software are available with a different level of features based on the professional level usage of the management tool. This software provides a complete collection of tools required for MySQL database administration. Administrators and developers will feel comfortable with its user interface for database operations such as create/edit/delete /drop and other data import and export operations. It also provides SSH tunneling for providing secure remote connections, along with other cool features. These are only a few GUI tools for MySQL database management. There are a lot other freeware tools available with their own respective unique features out there. What's your favorite tool?